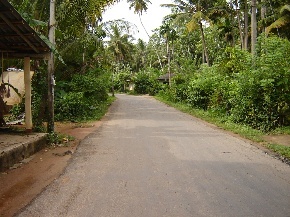 400 meters from the main road at Midigama Town and 500 meters from the beach. Midigama is from 20 Kms from Galle City towards Matara- 3 Kms from Weligama Town. It is 130 Kms from Colombo.